There are a number of different styles and types of tubes that are provided by tube manufacturers. Tube Bending, Coiling, Welding, and Assembly – United Metal Fabricators, Inc. In order to get the right sizes of tubes along with a variety of other specifics according to your applications needs and requirements the actual process that tube manufacturers utilize can vary from tube manufacturer to tube manufacturer depending on what they specialize in. In order to find out what you need for your specific application consulting with a few tube manufacturers and learning what they specialize in is a great way to narrow down your options. 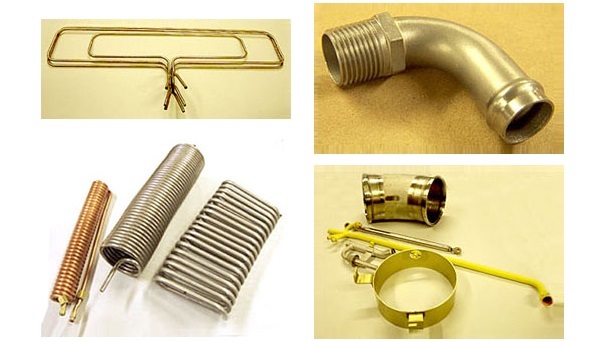 Seamless tubes are one form of product that you can receive from a tube manufacturer. These products are made from a specialized process that creates a final product that is completely seamless as it is made from an extruded hollow tube or even a solid bar that is drilled to exact specifications. Once it fits these exact specifications it can then be reduced in size a number of times through various cold working techniques until it fits all of your exact specifications such as size and tolerances. In addition to seamless tubes, tube manufacturers can also supply customers with welded tubes, which can also be brought down in size in order to fit your specifications and requirements of your application. Within this process there are a number of different options available in order to meet certain desires from rod drawing to plug drawing and everything in between. The best way to ensure that you are getting the right tube product is by finding the right type of tube manufacturer who can help you with every step of the process, from finding the right material to work with for your application to working with you during the design process. Working with the right tube manufacturer is the best way to ensure that you are getting the best possible tube product for your overall process or your unique application. Tube Manufacturers Tube manufacturers provide a number of services for a wide range of industries and applications which utilize a variety of tube products within their process or product line.